Show your love for Cap by wearing this Marvel Captain America Silicone Bracelet wherever you go. 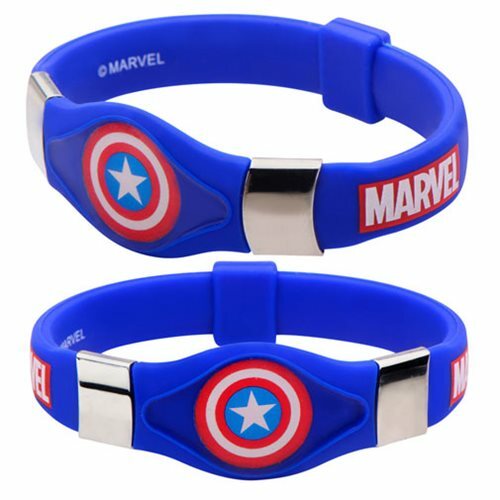 Beautifully crafted of silicone, this bracelet is perfect for any Marvel Comics or Captain America fan! The bracelet measures about 7-inches long and comes in a presentable gift box. Ages 13 and up.